If you ask around to some of your married friends you will probably hear them say how happy they were that they had an awesome professional photographer or you’ll hear how TOTALLY devastated they were that they didn’t hire a professional because they have horrible pictures of this no-do-over day. These are the images you’ll be looking at for the next 80 years right?! It’s the one thing you have when the day is over, besides that amazing person you just married! You’re also creating your first family heirloom with your wedding album! What we hear many times from brides that chose to use a friend or family member is "It's been a year now and I still don't have my pictures." You won’t be sorry you invested in a professional wedding photographer where there will be clear expectations and a streamlined process from beginning to end. We have been in business since 2004 and have shot hundreds of weddings and have taken care of many happy repeat clients! We believe in stellar client experiences from beginning to end. We believe in customer service and quality and that you get what you pay for which is why our studio only offers the very best for your artwork and heirloom albums. Our album leather comes from the same company that provides leather for the White House furniture and our paper is used by the Guggenheim for their artwork. Do you travel for elopements and destination weddings in Idaho and internationally? Yes! We frequently travel to stateside and international destination weddings from small elopements of 2, to large weddings of 600 guests or more as well as multi-day wedding events! Favorite destination wedding locations with our clients in Idaho are... Chateau des Fleur in Eagle Idaho and private estates as well as the beautiful alpine towns of McCall and Sun Valley. We have also photographed destination weddings and events in Oregon, California, New York City, Vero Beach, Florida, The Hamptons, Inverness Scotland, Paris France, British Columbia Canada, Hawaii and Mexico. No. We don't charge for travel. It's FREE.... yes, I said FREE. You don't have to arrange for or worry about any of that. We are frequently at various locations worldwide shooting and incorporate additional shoots with clients while there. Inquire with me for current travel schedule! When should we book our wedding with you? ASAP! To maintain the personalized attention we give to the client experience we only photograph 20-25 weddings and engagements per year and a selection number of anniversary sessions. We book 1-2 years in advance for prime summer dates so let's talk soon! We know that your wedding photography choice is the one thing from your wedding day that will actually INCREASE in value over time. Having gorgeous images that can be displayed as art either in your album or on your wall signal the beginning of your legacy as a couple and is a PRICELESS decision you make for your wedding day. Heirlooms do not live on electronic media, a flash drive or a CD. We believe in delivering premium value through the quality of the products we deliver, the professional experience you will have with our studio, your gorgeous, stunning imagery as well as the white glove customer service you can always expect. We think you should get exactly what you want. And for that reason we design custom collections that fit your day and unique vision with pricing that matches your needs. 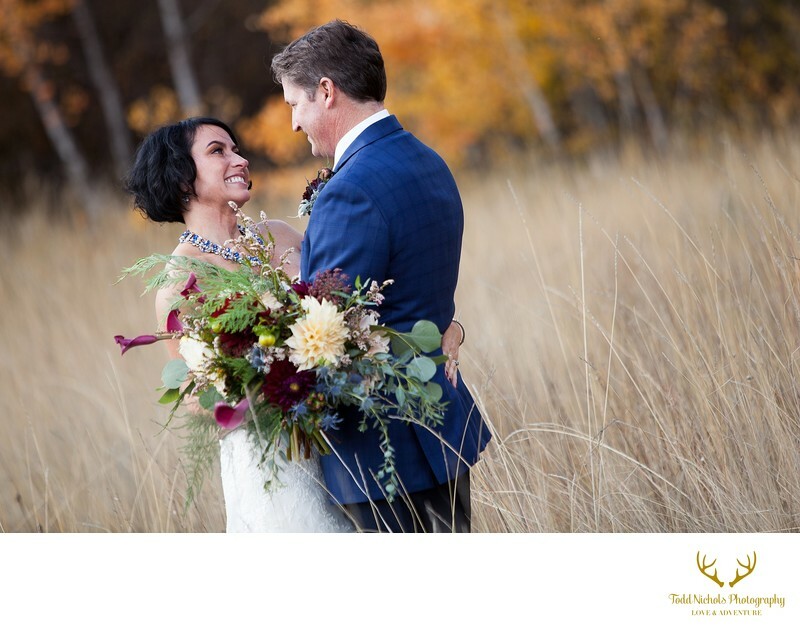 If you are a destination bride considering the beautiful alpine resort locations of McCall or Sun Valley, be sure to contact us about our Signature wedding experiences for all the exquisite details! International destination weddings (think Canada, Ireland, Scotland, France, Italy and Hawaii) are also simple to book with us. Inquire for all the exciting details! We know what you want and how to deliver it anywhere in the world because we've done it before! Why don’t we list our complete price list right here? Several reasons. We need to talk with you about your wedding day timeline, the size of your wedding, which will affect the number of hours of coverage you need, how many photographers you may need, as well as the location of your wedding since we shoot many destination weddings! We can either meet in person at our gallery or via facetime, skype or phone if you're in a different location. Super simple! You can click the link here to fill out the simple Contact Form. All that is needed to save your wedding date with us is a signed agreement as well as a retainer which saves your date on our shoot calendar. The retainer is deducted from the total amount which is due 30 days before your wedding. Can you save the date for me while I’m deciding? We won't be able to save your date while you're deciding. If there are two inquiries for the same date, which has happened before, we have to go with whoever gets their signed agreement and retainer to us first. Should we take engagement pictures? I highly recommend it! Most couples appreciate having an engagement session so they can use these images for save-the-dates and wedding announcements. The engagement session is also a great opportunity for you and your photographer to get to know each other and for us to understand how you photograph so that you're comfortable on the day of the wedding. Should we have a "first look" or wait to see each other when we walk down the aisle? We do it both ways… but would always advise you to have a first look if possible. We are finding this is the new tradition. This allows you to see each other for the first time without all eyes on you. There is usually much more emotion between both bride and groom when they choose to do a first look. It will be a few private moments between the two of you at a location that we will choose for you. Another reason to do a first look is so your guests are not waiting after the ceremony. There is usually much less pressure on the bride and groom when all of the couples shots and most wedding party shots are out of the way before the ceremony. There are generally a few family pictures with both sides of the family after the ceremony and before the reception but this won’t take very long and you can get right back to your guests! The digital images are included with most collections. You will be able to print and share on social media all you want. However, since heirlooms don't live on digital files but in artwork and albums we encourage you to view these digital files as archival images. A professional wedding photographer will not just hand you a disc or flash drive of images. This is leaving the job half-done. Since we are a full-service studio, our desire for you is to facilitate getting your images hanging on the wall whether its gorgeous metals, canvas or fine art prints. You should also have an album, and it shouldn’t be a coffee table book...Album and artwork are enduring tangible pieces of art you can hold and pass on to the next generation. This is what we will create for you on your wedding day. Our albums are handcrafted in the US and utilize the same leather supplier as the White House does for their furniture. Our paper is also the same as what the Guggenheim uses for their exhibits. Seriously, please don't copy our script. We do offer incredibly informational one-on-one mentoring sessions that will help you hone your own unique brand and skills. Inquire for pricing and availability. We would love to work with you!